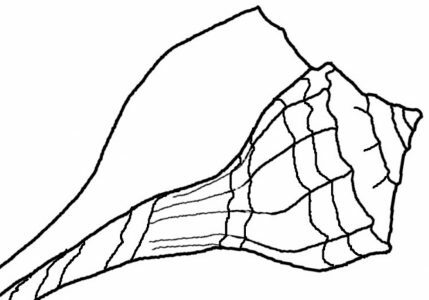 The Limpet shell is quite different than what you think of as a “sea shell”. It is round or oval and cone shaped, like a little volcano or pointed hat, or they can also be almost flat. Their shape is influenced by their habitat. The ones that live where there is more wave action have the lower shell, while the ones who live in calmer water will have a higher shell. 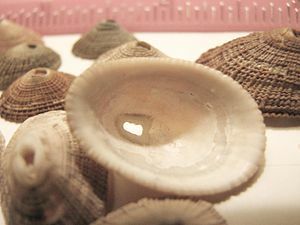 There are two types of Limpets, the Keyhole Limpets (Fissurellidae) differ from the Limpets (Acmaeidae) because of the holes or slits found in the top of their shells. Check out the links below for pictures of Limpets.